The decision to move to Let It Be was made more than two years ago. Since then, many changes have been accomplished. Our plan to move aboard is close and will be realized within 8 weeks. Yet I have found myself a bit muddled and out of sorts. Have you felt this way after making a major decision even though you still believe the decision is a good one? Currently our house in Texas is for sale, which means we maintain it like a House Beautiful photographer is on the way. To escape the model home syndrome, we are vacationing off and on in a darling VRBO house in Durango, CO. As for Let It Be, she is finishing her charter life in the British Virgin Islands, taking happy folks from one beautiful beach to the next. So in a sense, we have three “homes” in three very different places right now. I know LIB will become our one home, but right now I feel like a three legged stool with a foot in each location. And as happens in these situations, I am not perfect at keeping up with which things are where. Like my one remaining pair of dress pants which I needed in Durango, but I realized I had left in Dallas. Only when I got to Dallas I learned that one pair of pants was accidentally put in a box headed for Let It Be via Puerto Rico!! The pants are not a tragedy, but they have allowed me to finally put a finger on why I feel so muddled. I am not the type to decorate and redecorate my home, but I really like knowing what I have and where it is. “Nesting” for me means I have one place for my things. This doesn’t mean I have to have a lot of stuff, but it does mean that what I have is in a single location and I can put my hands on whatever I am looking for. A few people have wondered how we can think about letting go of a land home to live on a boat. Or they think we should have a small land place somewhere so we can “go home” if we want. Well, I think this feeling of wanting all our toys in one sandbox might just be the answer to why we think owning only a boat sounds like a great idea. We want to travel and see new places and by living on LIB, all our toys, clothes and doodads will travel with us – including my one remaining pair of pants! Admittedly choosing a boat as our residence is not a mainstream choice and it means a significant reduction of ownership, but right this minute, I am soooo ready to put all my possessions in one house boat! 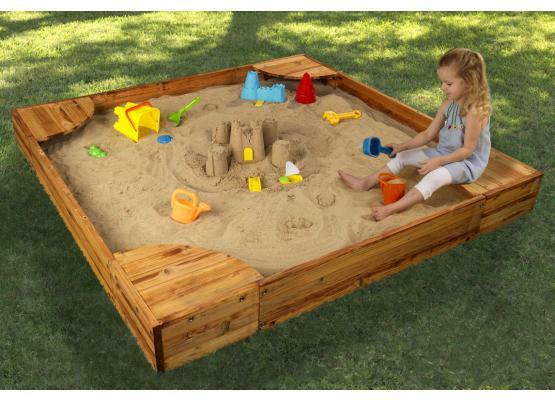 How about you – do you prefer just one sandbox? I would love to hear your thoughts.